Viber is the most popular VOIP client and messaging app like as Skype. Viber lets you make voice calls, video calls and send messages to other viber users. Viber is used by more than 200 million users across all the mobile systems such as Android, iOS, Blackberry, Symbian and more. 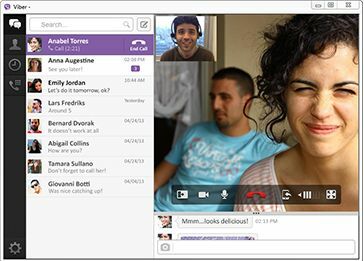 After the success of Mobile platform, now they released the desktop version of Viber app to Windows and Mac computers. Viber app lets you send free messages and make free calls to other Viber users, on any device and network, in any country. This app syncs your contacts, messages and call history with your mobile device, so you can easily continue conversations from your PC. Also you can make group conversations with your friends across all the devices. Note: Viber app for PC requires your phone number to connect and use the application.